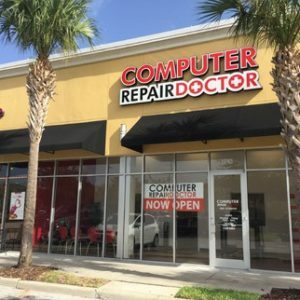 Located on Semoran & Howell Branch (behind Starbucks, next to Planet Smoothie), we are your local Computer Repair Doctor store in Orlando, FL. We specialize in computer repair, laptop repair, iPhone repair, iPad repair, Mac repair, and other smartphone and tablet repairs of all kinds. Give us a call or stop by our local store for a free estimate! This store is offering the following deals for a limited time only, they could vanish at any time! • You must mention our “Website Deals” to receive this special pricing (it wouldn’t be a deal otherwise!). • This deal is valid for this local store only (our other stores, laundromats, grocery stores, etc. will all look at you strange if you try to use it there).